Did you know that Iodized Salt Can Make Your Horse Healthier? All full-sized horses require at least one ounce (2 tablespoons) of iodized salt per day and as the iodine content of grass is way too low to measure, your best bet is to rely on supplementation, either from salt or other sources, to ensure your horse’s needs are met. The ideal diet for a healthy horse is one that contains 1 to 6 mg of iodine daily, which keeps his thyroid gland working properly. However, remember that as many supplements and fortified feeds already contain iodine, you need to be sure of exactly how much your horse is consuming, as too much in the diet can have the opposite effect and actually damage the thyroid gland. Iodized salt is, therefore, a great way to add iodine and provide the much needed salt. 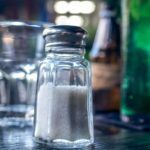 One teaspoon of iodized table salt contains 0.4 mg of iodine (3 tsp = 1 Tablespoon = 15 ml) and it’s as easy to obtain as picking up granulated salt from the grocery store, which comes in both iodized and non-iodized versions. Additionally, be sure that you only use iodine salt from reputable sources that guarantee their iodine analysis in writing. * Blue and red salt blocks contain iodine * white and brown ones generally do not * sea salt, kelp, and other natural salt sources can vary tremendously in their iodine content * Be sure to read the labels carefully and protect your horse’s health. Is your Horse Acting Out or Going Lame? 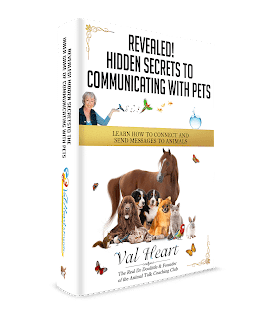 If you’re feeling frustrated because of bad behavior or poor performances, or are struggling with mystery lameness or illness, then you’re in the right place. Get your FREE eBook: 7 Reasons Horses Act Out or Go Lame!